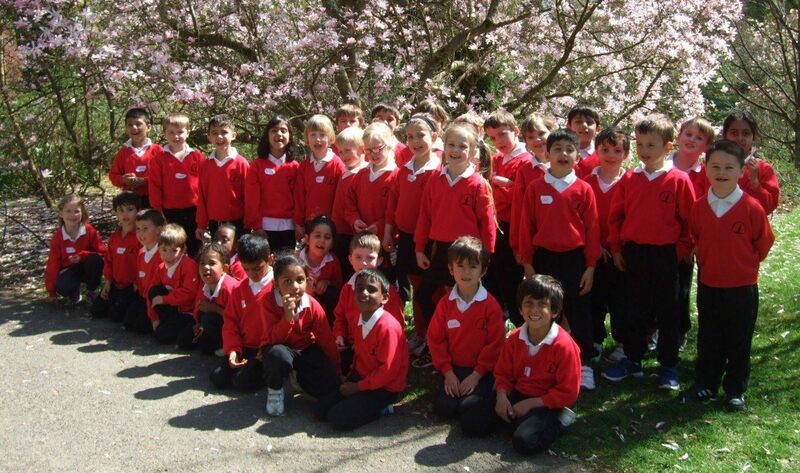 We had such an exciting time at Wakehurst Place and found out so much about plants and trees. We learnt about the various parts of plants and what each part does to allow a plant to live and grow well; ie how the sun is collected by the leaves and turned into food for the plant, ‘photosynthesis’! We sorted lots of fruit and vegetables by which part of the plant we eat, whether it was the root, the stem, the leaf or the fruit/seed. Cress was very interesting as we eat both the leaves and the stems! In our groups we produced some ephemeral art by making animals using lots of Wakehurst Place’s natural objects – branch slices, petals, pine cones, moss and leaves. The groups co-operated well and made a wolf, a cat, a donkey, a zebra, a pig, an ostrich and a giraffe/flamingo! Wakehurst was really blooming with colour and we were so impressed by the beautiful magnolia tree that we had to have our photograph taken next to it!